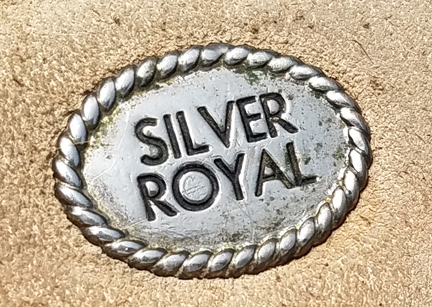 This is a fancy Silver Royal Saddle. This is an older model, back when they were made by Circle Y. 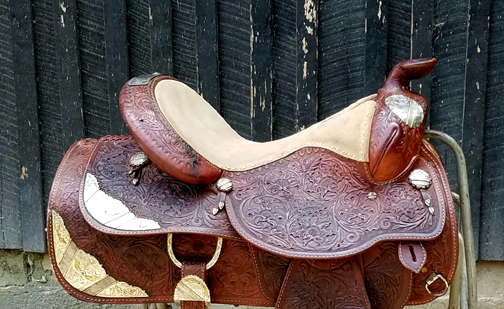 This is a well made, high quality saddle. 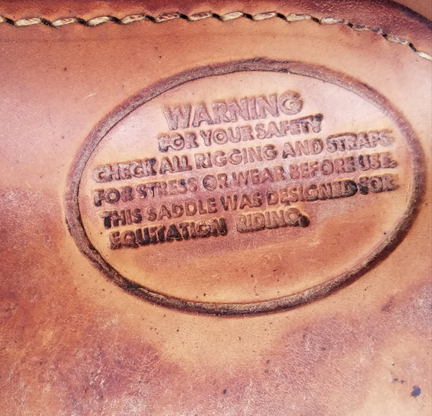 The leather is thick, not like the newer cheap models. Handcrafted with beautiful tooling. It has a 16 inch seat in tan suede. 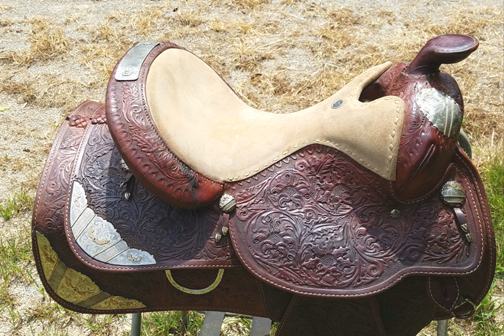 There is a lot of silver covering this saddle. The silver is highlighted by gold accents and red stones. Very eye-catching. 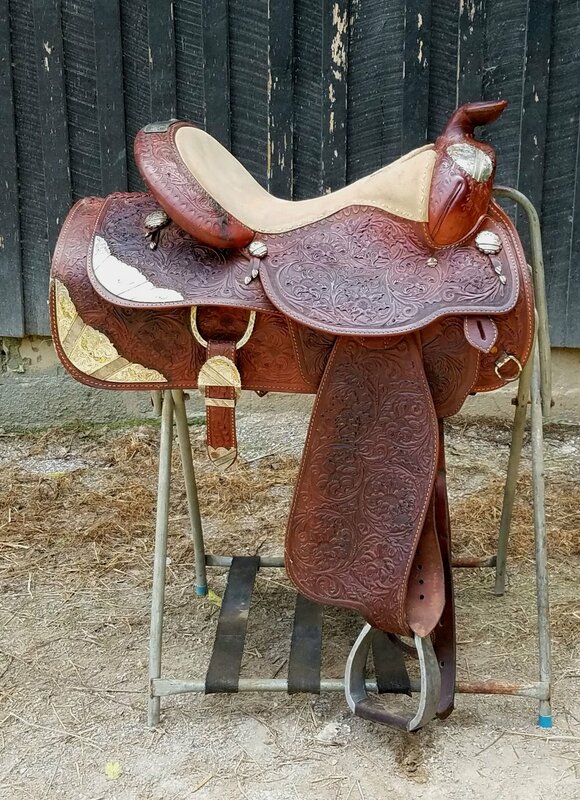 This saddle has not been used much, just for a few shows and stored in the house before I purchased it. It still rides like a new one. It has Full QH bars and will fit the larger horse. Wide gullet. I have the matching stirrups with the silver accents and tooling as well. .